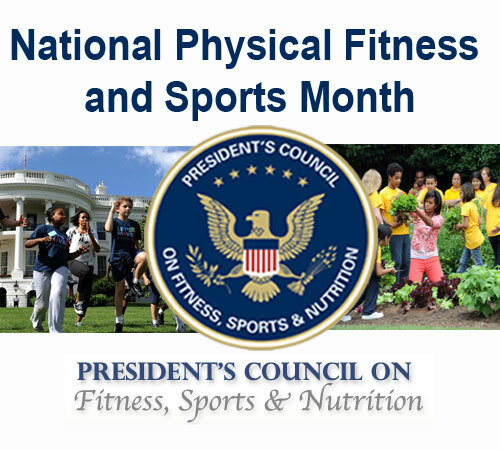 May is designated National Physical Fitness and Sports Month by the President’s Council on Fitness, Sports, & Nutrition. We are a nation who has lost sight of healthy living. This month, start a new goal to become more physically active. 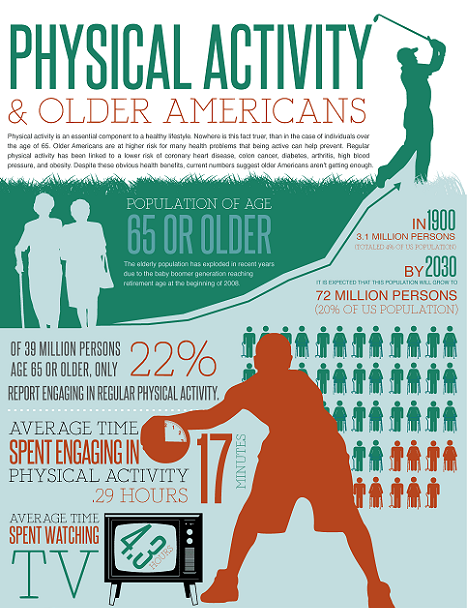 Americans of all ages can benefit from more exercise and playing sports. There is an epidemic of childhood obesity, but kids aren’t the only ones spending hours in front of the TV, computer or video game. We eat too much junk food and drink too much soda. The President’s Council on Fitness, Sports, & Nutrition is working to raise awareness about physical fitness and the benefit of getting out there and moving your body. Many of us don’t like the government telling us what do to with our bodies. New York Mayor Michael Bloomberg’s plan to ban super-sized soft drink sales at fast food outlets has caused quite an outcry. We love our treats. If we put as much vigor into our physical activity as we do our protest of this kind of ban, maybe we would all be happier. That said, we should be able to purchase whatever we want, and nothing is going to stop you from just buying two or three smaller sized drinks. This kind of diet and lack of exercise has a bad effect on children, but it is also making us old before our time. It can lead to cardiovascular problems, Type 2 diabetes and other conditions. You can make a change. You can learn to fight your food cravings. Just say no to salty snacks and give your sweet tooth a rest. You don’t need the government to tell you to exercise or play a game of basketball or baseball, you know it is good for your physical and mental health. Like most of us, you are probably just stressed from work, short on time, and when you come home at the end of the day, you just want to chill out. Exercise reduces stress, and it gives you more energy so that you can play with your kids, or work on a hobby in the evening. Whatever kind of exercise or physical fitness program you decide to start, and there are many to choose from, you will do better if you make a schedule to fit it into your daily routine. This will also encourage you to keep going when you see how far you have come as you track your achievements. The Physical Activity Guidelines for Americans recommends a minimum of 150 minutes of moderate aerobic activity a week, or 75 minutes of vigorous activity. You should also include some muscle strengthening exercises every few days. You can even exercise while sitting at your desk. 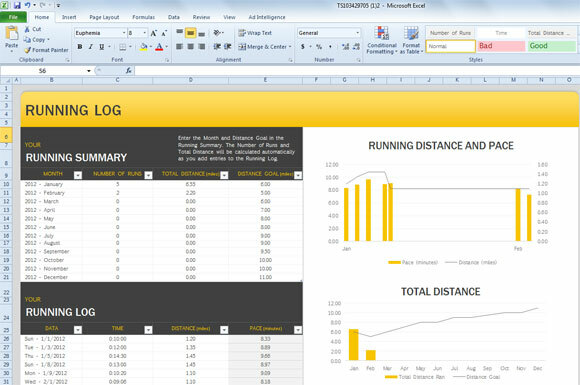 An Excel spreadsheet is an easy tool to track your progress. Even if you aren’t a numbers’ person and rarely use Excel, it is easy to build a schedule and track diet, goals, pounds and inches lost, types of physical activity or sports and any other relevant information. 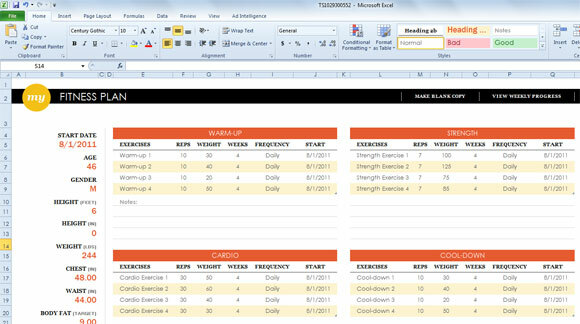 By using a PDF to Excel converter you can make your fitness plan pay off even more. It’s like adding another level to your exercise routine, only you don’t have to work as hard. We start many exercise programs and don’t follow through because they are too complicated or require too much effort for little return. Some people find that to be the case with Excel. 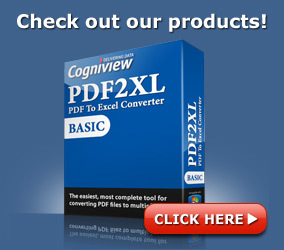 With a PDF to Excel converter, you can take existing programs that you find on the Internet and modify them for your own use. For example, there are all kinds of plans for fitness in PDF form. You can convert those documents to a spreadsheet to make an easy to manage plan. You can also do this with diet plans that you find online. Summer is coming, and it’s time to get in shape. Get the entire family involved in National Physical Fitness and Sports Month. It’s not only healthy, it’s fun.